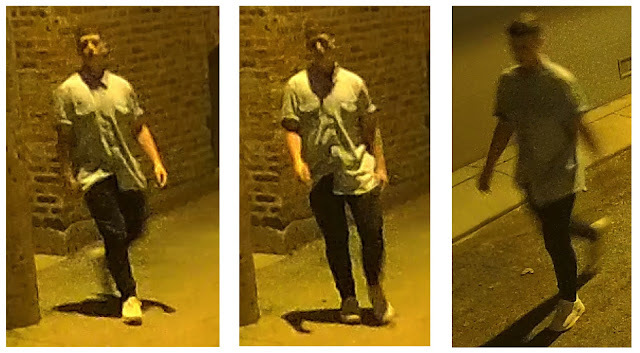 Surveillance video has been released showing the man that police say entered two Lincoln Park homes early Sunday and sexually abused two young girls as they slept. The video, released late Wednesday night, shows the suspect entering and exiting a residential yard from an alley around 2 a.m. That’s about the time that a man entered a home in the 400 block of West Belden and sexually abused a 13-year-old girl as she slept, police said. About 20 minutes later, an unknown man entered a residence in the 500 block of West Grant and sexually abused a sleeping 11-year-old girl. In a new community alert, police described the man seen in these images and video as a “person of interest” who was seen in the area around the time of the incidents.